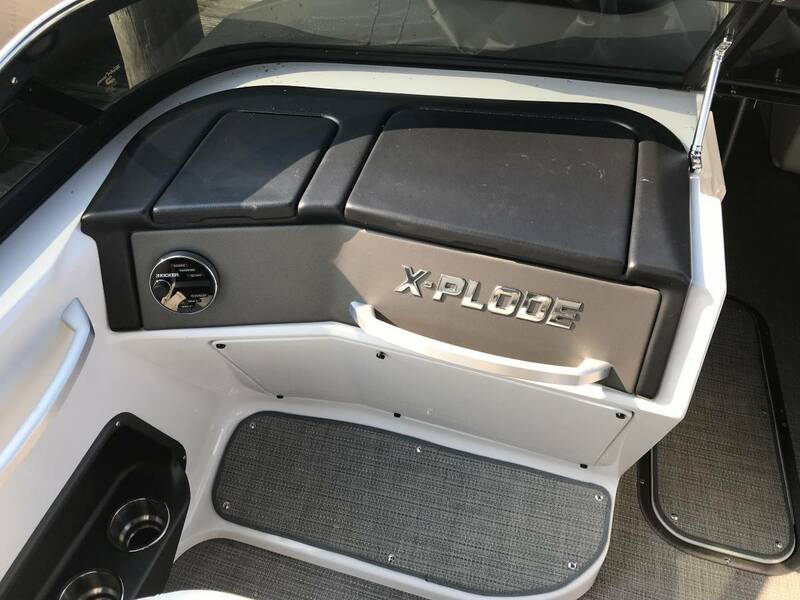 This 2016 Manitou Xplode is over the top in bling. 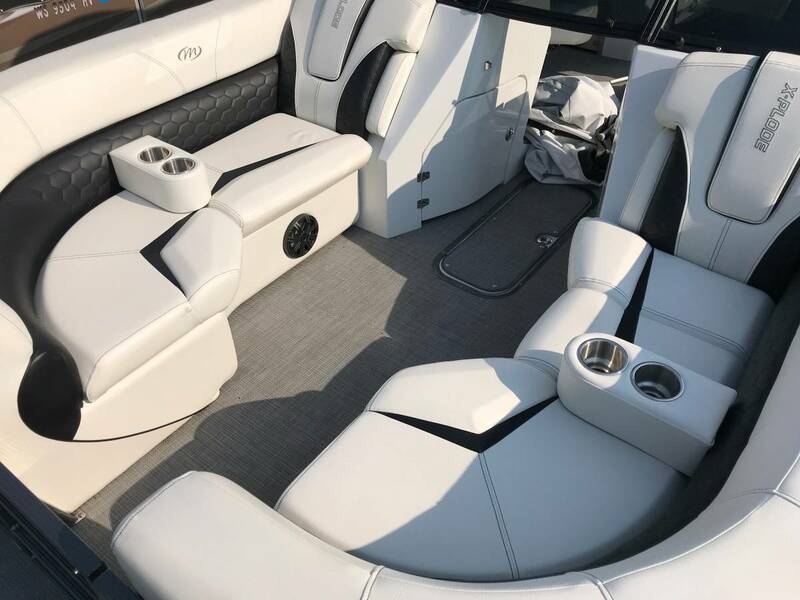 Boat is black in color with silver luna flooring. 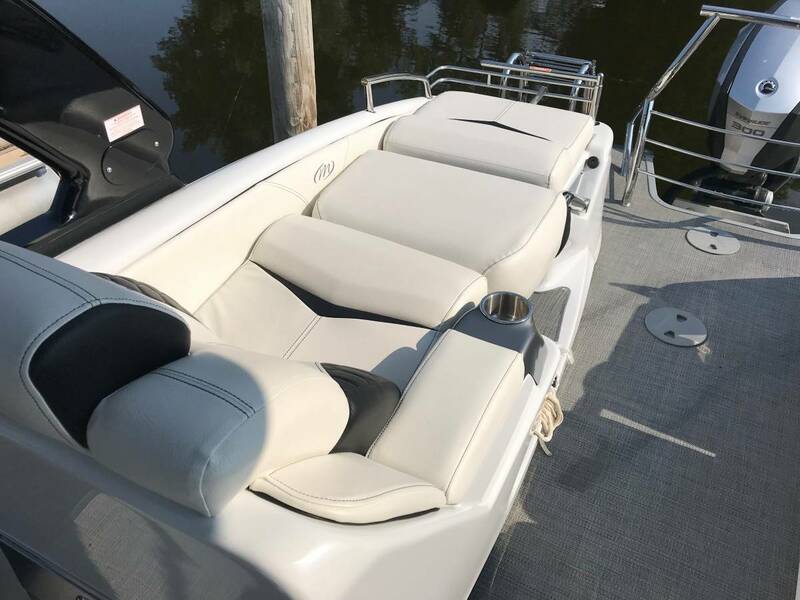 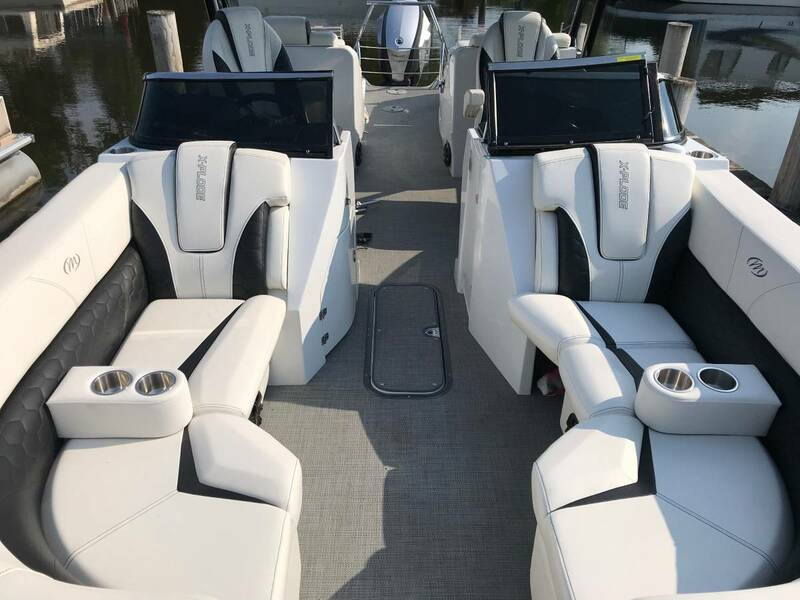 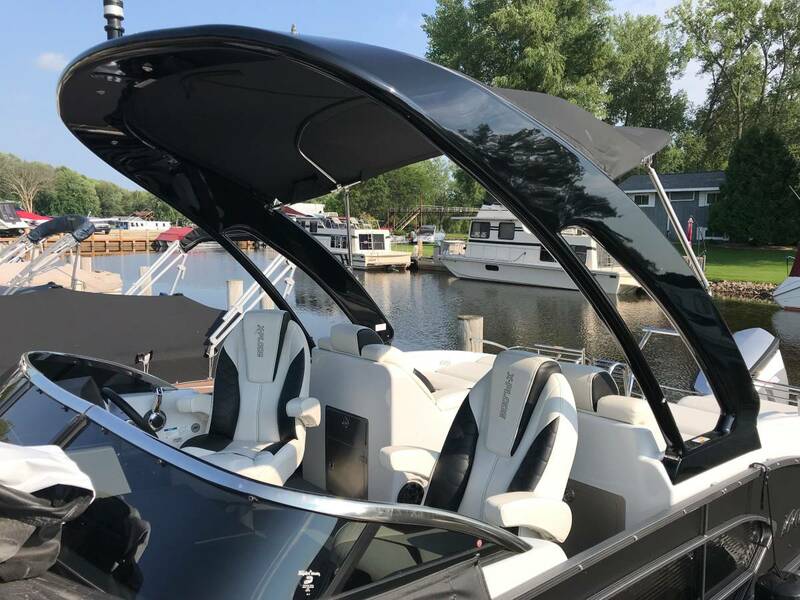 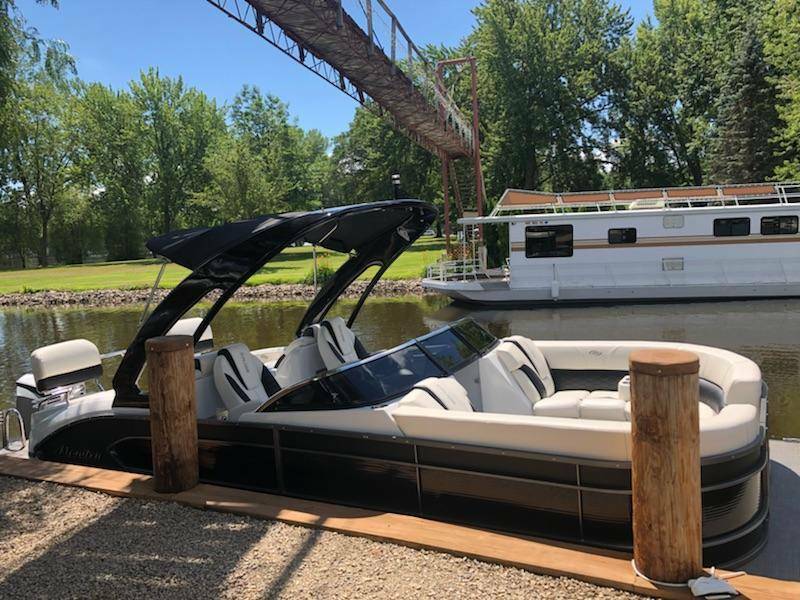 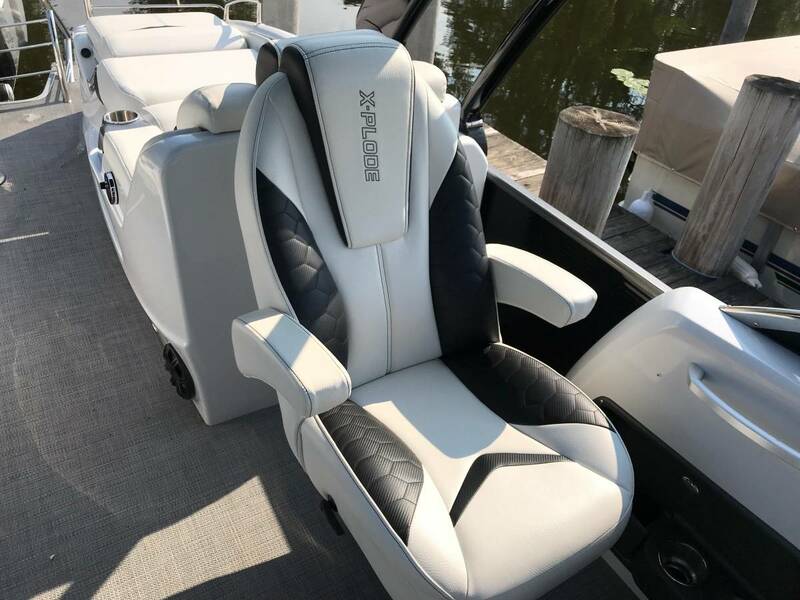 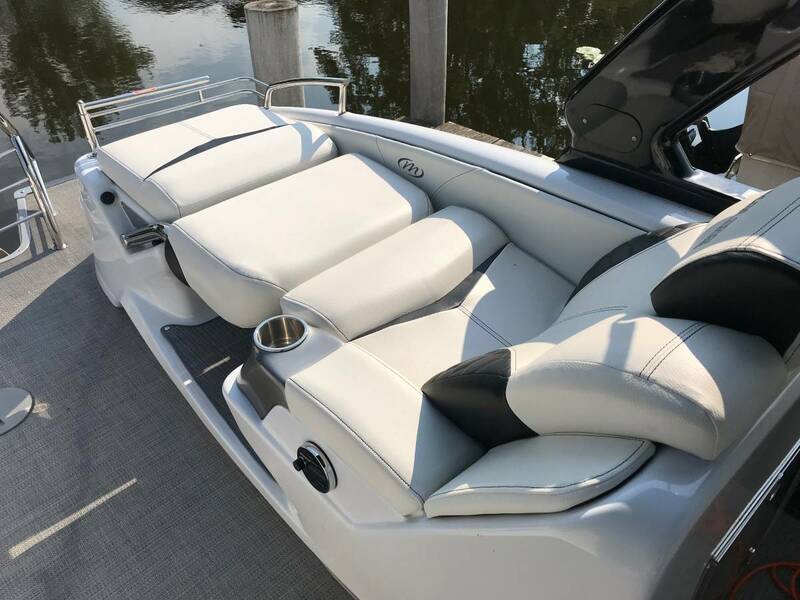 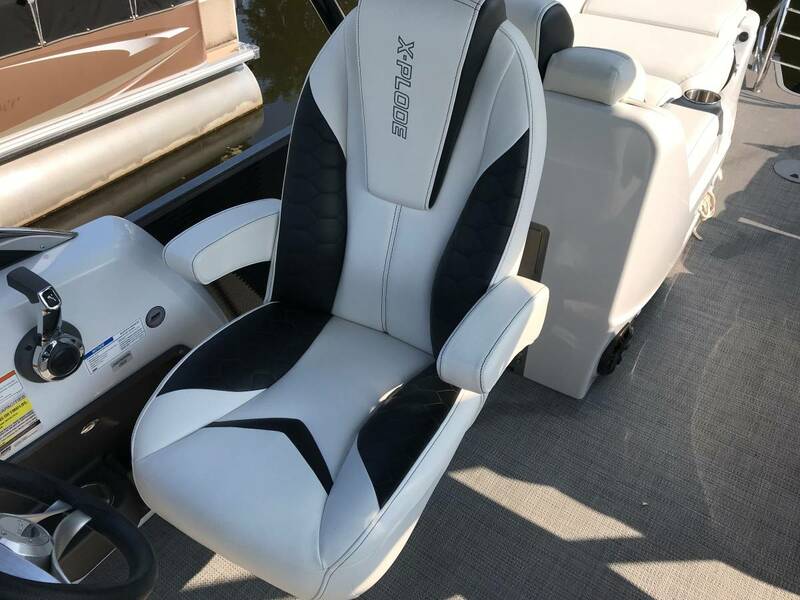 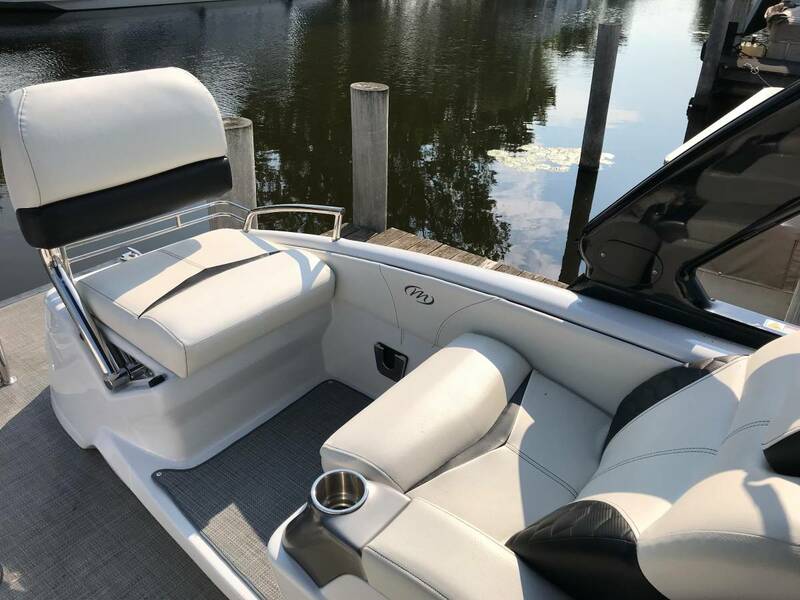 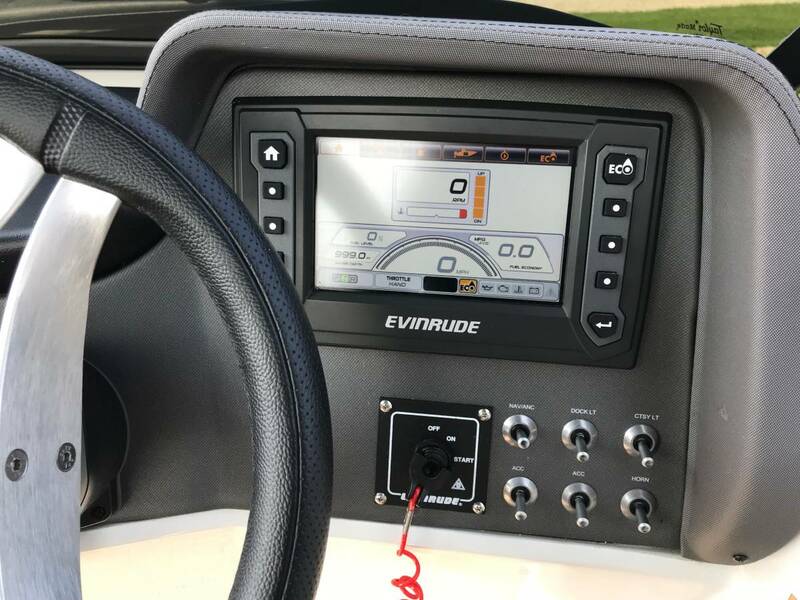 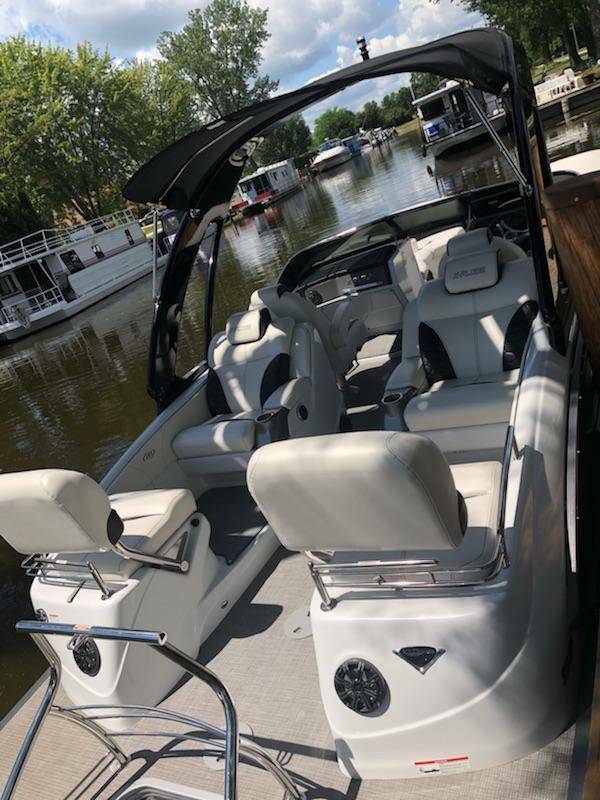 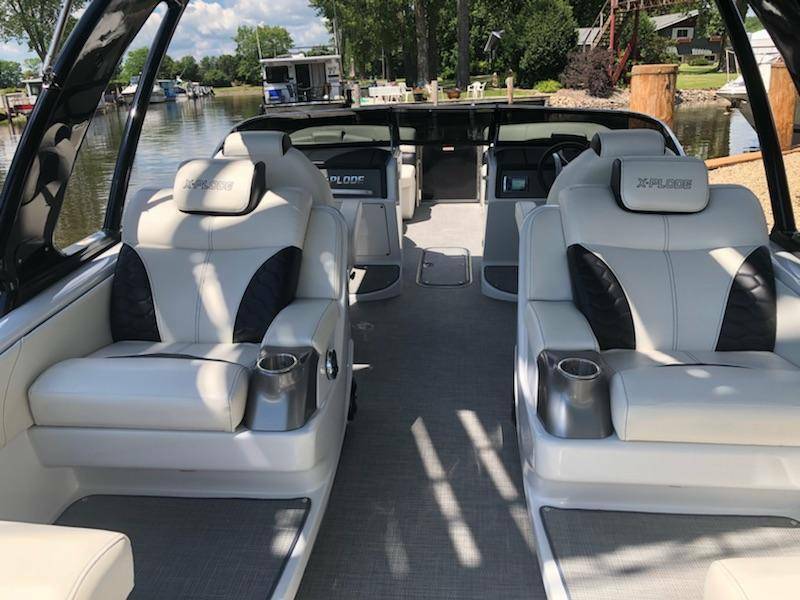 Has a black sport arch, upgraded sound system, in-tube storage, bow filler bench and Evinrude smart screen. 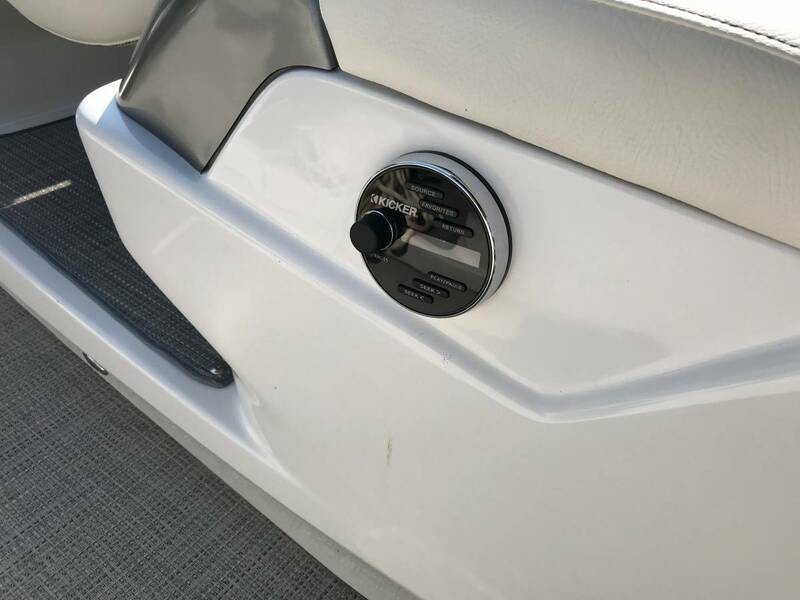 Boat has 40 hours on it. 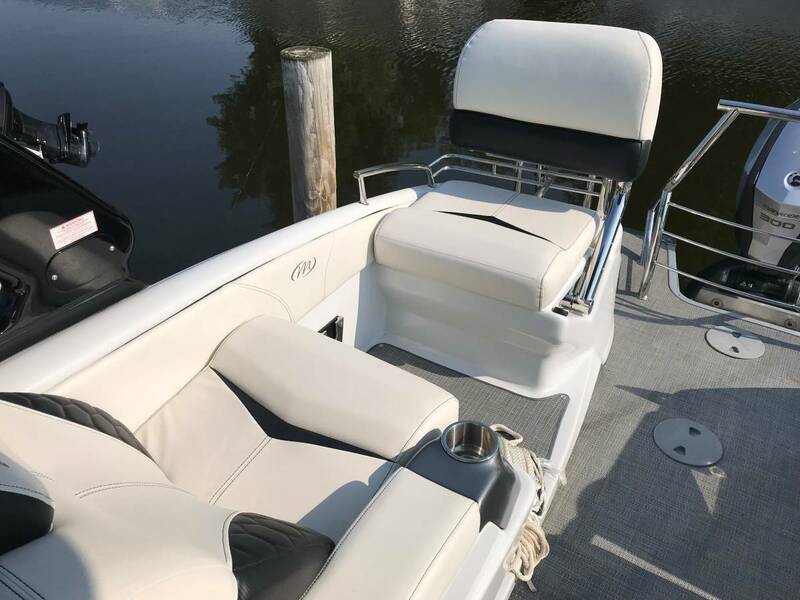 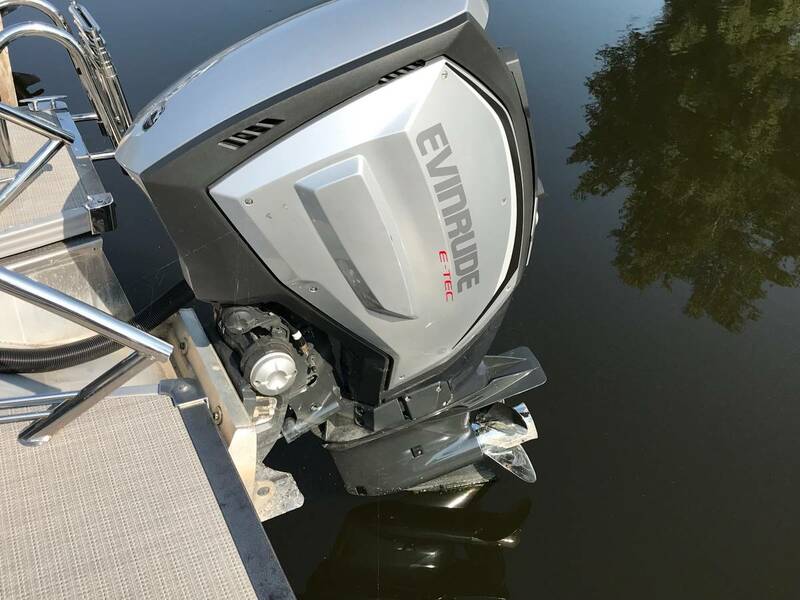 Seller also has a boat lift that is negotiable to adding to the deal.